Insurance Law | Tampa Insurance Defense and Litigation Attorneys | Metzger Law Group, P.A. Liability insurance is usually purchased in terms of “limits of liability,” the maximum amount the policy will pay on a single incident. Limits of liability are sometimes divided into bodily injury and property damage, and should include covering the costs of defending the insured in court. A liability insurance policy has two separate obligations. One is to pay the covered liability of an insured. The other is to defend the insured should the insured be sued. Traditionally, the law provides that when an insurer has the duty to defend the terms and conditions of its policy for the insured, it pays for the defense. The defense lawyer is representing the best interests of the insured and being paid by the insurance company. The insurer thus has standing relationships with law firms who do “insurance defense” work, i.e., defend the insured under policies. Insurance defense work arises from the outside claim counsel needs of insurers in local areas where the claim is litigated. It may involve contract areas such as resolving disputed first party claims, but most litigation involves tort issues of liability claims. A strong third party defense requires a thorough discovery phase in ensure all relevant aspects are considered in settling the claim or determining appropriate judgment. The law firm of Metzger Law Group, P.A. primarily focuses on general insurance defense litigation. The firm’s attorneys are members of the Defense Research Institute, Florida Defense Lawyers Association and ABA Tort and Insurance Law Sections. The firm represents and defends self-insured companies and commercial, personal and surplus line insureds in personal injury and wrongful death lawsuits. 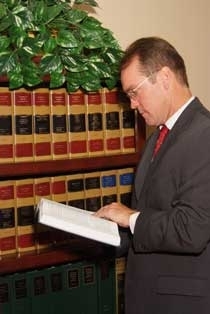 The firm also represents and defends insurance companies in coverage disputes and bad faith litigation. The partners are committed to a policy of aggressive claim handling and cost effective defense litigation which has resulted in discount settlements, dismissal of claims and most importantly, defensive verdicts. A strong third party defense requires a thorough discovery phase in order to ensure all relevant aspects are considered in settling the claim or determining an appropriate judgment.